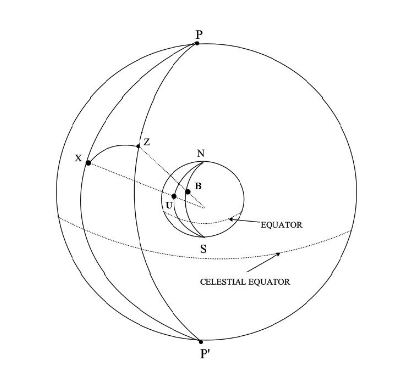 Examples of the use of spherical trigonometry to calculate the azimuth and altitude of celestial bodies. Step 3. Calculate Zenith Distance (ZX). Many thanks to Professor Eric Bittner for his help with this post. This entry was posted in astro navigation, celestial navigation and tagged astro navigation, astronomy, celestial navigation, mathematics of astro navigation, mathematics of celestial navigation, navigation. Bookmark the permalink.